Wassaic marks the end of Metro-North's Harlem Line. We began our Harlem Line journey to Valhalla from here. On the day of our trip, our train to Southeast was pulled by an old FL-9 in New Haven colors. This is a relatively new station. 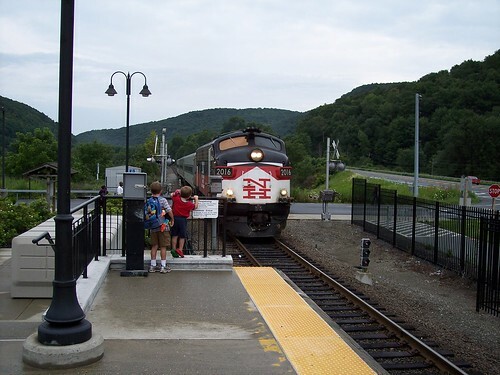 In the early years of Metro-North, passenger service ended in Dover Plains. 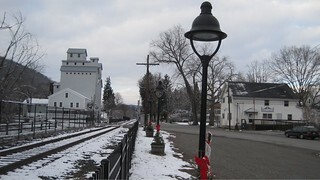 The rails were still in place to just south of the current Wassaic station, but rarely used. 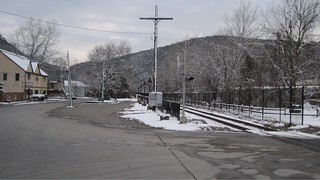 Metro-North rehabilitated the tracks and built the new Wassaic station. 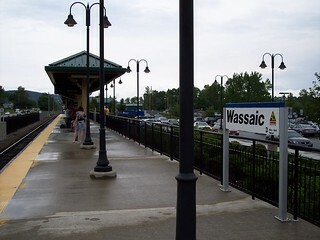 The Wassaic station is a basic high level platform with canopy. In the days of New York Central the Wassaic station was a bit further south in town. The old shelter and stop was to the left of the tracks in the left picture (looking south) and to the right in the right picture (looking north).